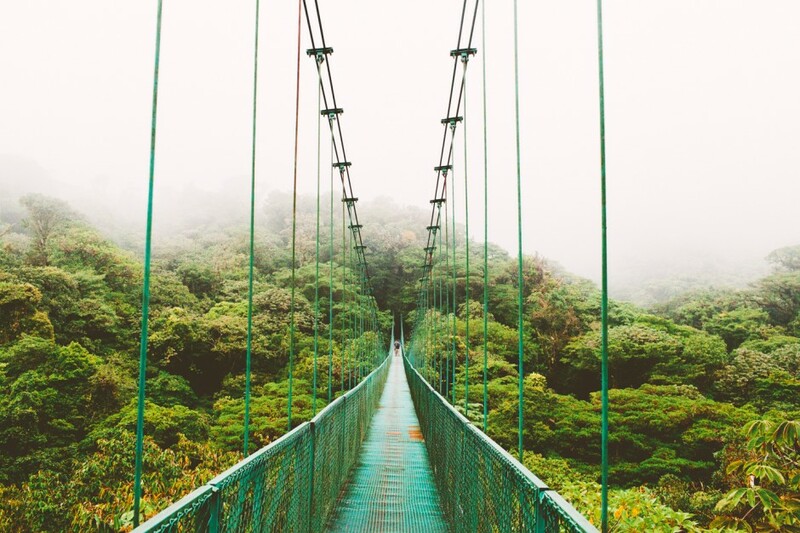 YOU WOULDN’T THINK IT COULD GET any better than that: standing on a hanging bridge at sunset, high over the cloud forest of Costa Rica, muscles pulsing from an adventure-filled day. Then the fog starts rolling in. A very thick fog. So dense you can’t see the end of the bridge you’re standing on. The fog is cascading through the treetops, you lose your sense of depth, the over-saturated green slowly fading to grey. Everything is muted. And then the breeze starts blowing in your hair, the mist clears and uncovers one of the most epic sunsets you have ever seen. 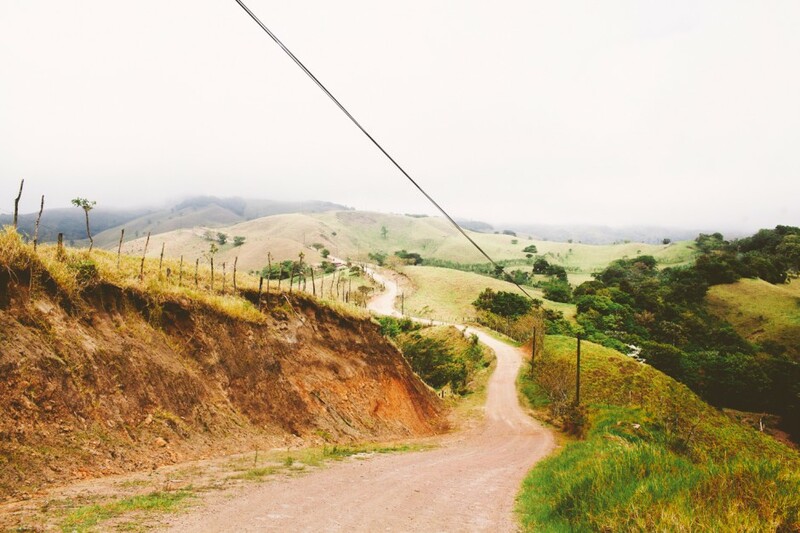 That was when I fell in love with Costa Rica. 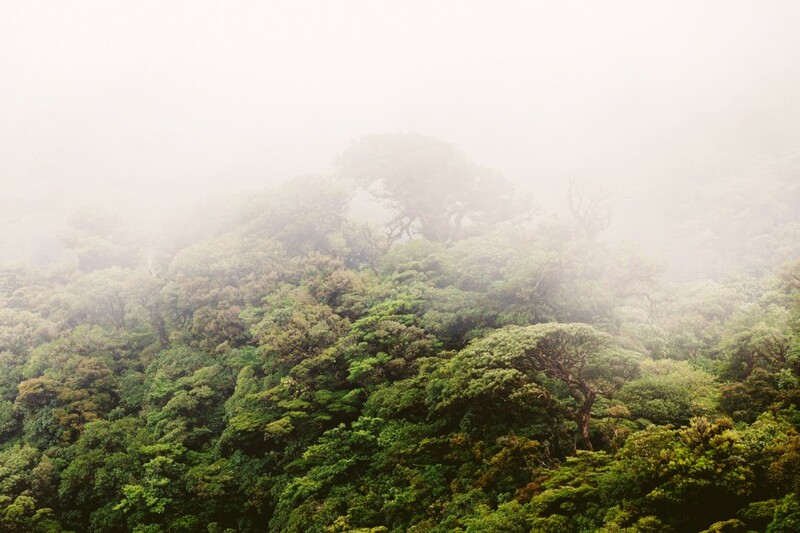 But what was even more comforting after such a powerful moment was to know that this place — the Monteverde Cloud Forest — along with many other reserves across the country, will be protected for decades to come. On the day we arrived in San Jose, I met up with local photographer Miguel Vargas. He drove us up to the highlands near the capital city for one of the best sunsets I've ever witnessed. Everything for the shot. 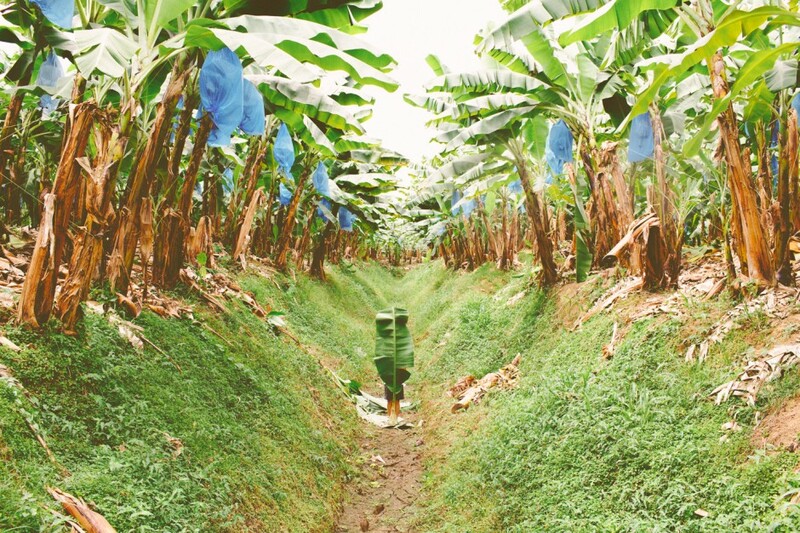 This is YouTube sensation Mr. Ben Brown hiding behind a huge banana leaf in a Dole banana plantation. Scoring this image involved getting half covered in mud and attacked by ants, but it was all worth it. Connecting with the local fauna in Costa Rica. 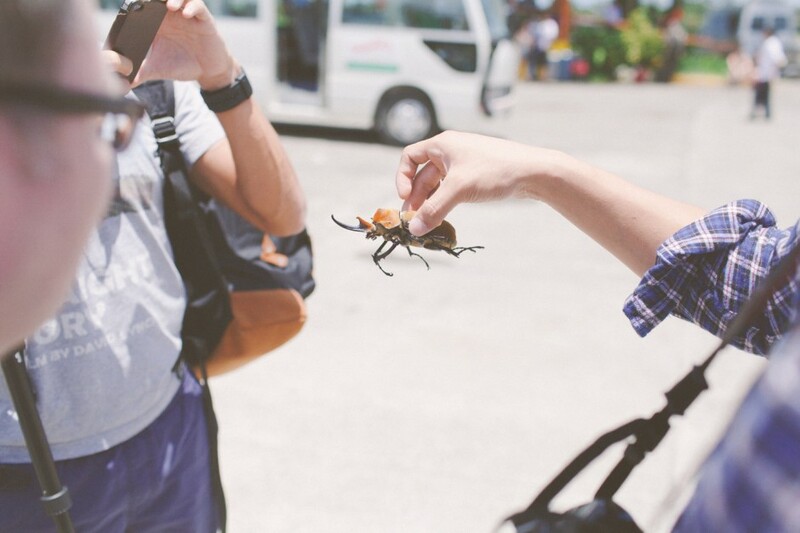 This is a rhinoceros beetle. 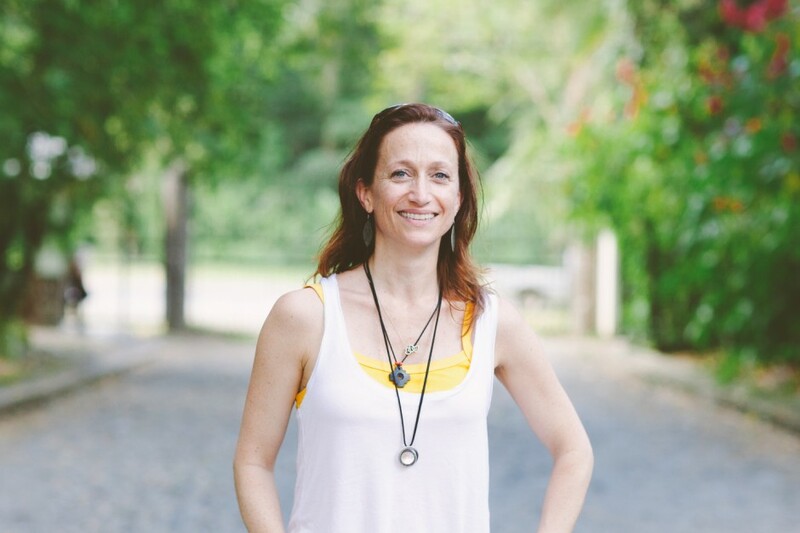 Marine biologist Emma Harrison at the Sea Turtle Conservancy in Tortuguero National Park. Meeting this person was fascinating in every aspect. I always admire someone who dedicates their lifetime to one single mission. 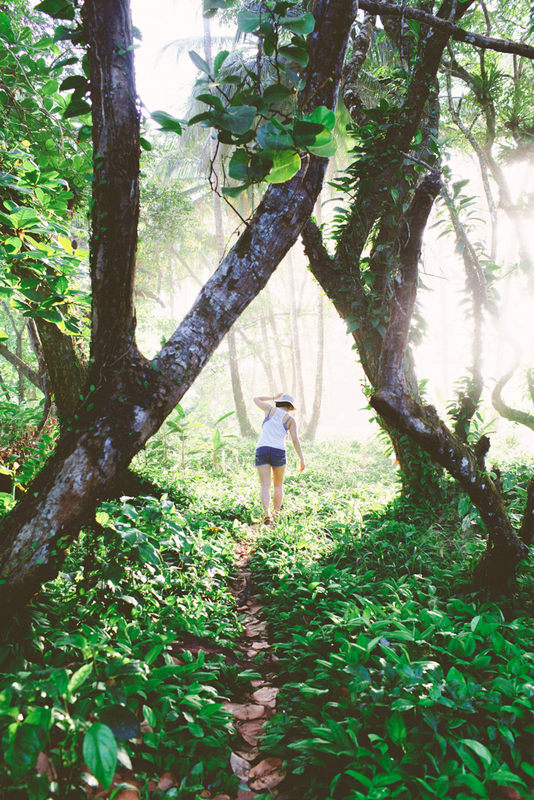 Vancouverite Mirae Campbell, one of the winners of the Storytellers: Costa Rica contest, venturing into the tropical forest, barefoot. 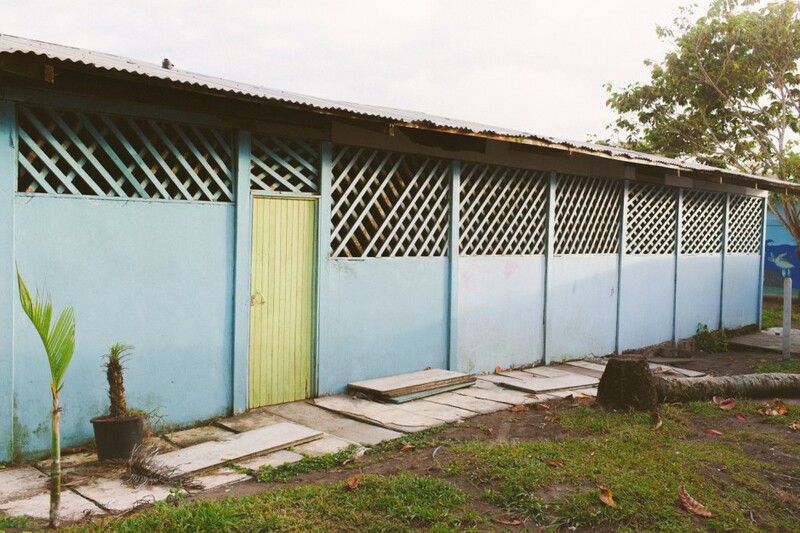 The elementary school of Tortuguero was painted in some very photogenic hues. 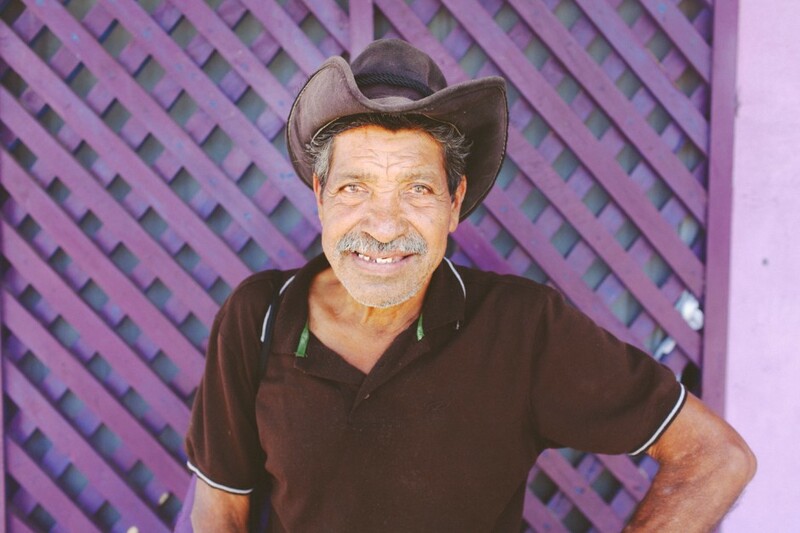 We had an interesting conversation about life in the small town of Tortuguero with local Roberto. 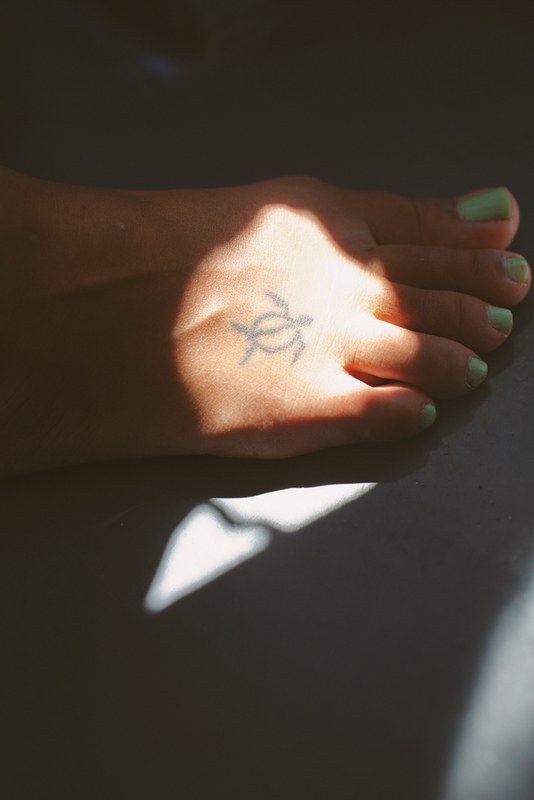 I noticed this tattoo on the foot of Eline Postma, another contest winner, on our way to the Sea Turtle Conservancy. 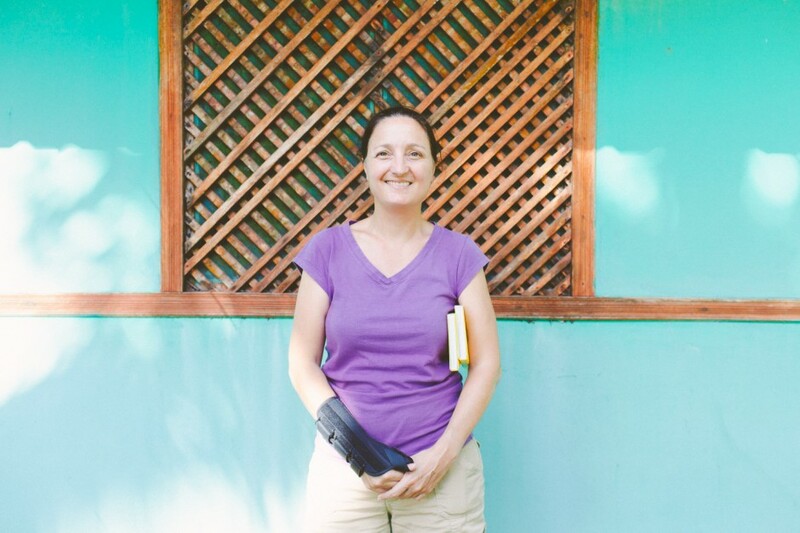 This is Celine Cousteau, granddaughter of famous explorer and conservationist Jacques Cousteau. Meeting her was one of the highlights of the trip. Celine's devotion to positive storytelling and the preservation of the planet really put everything in perspective. Visiting a cacao plantation. 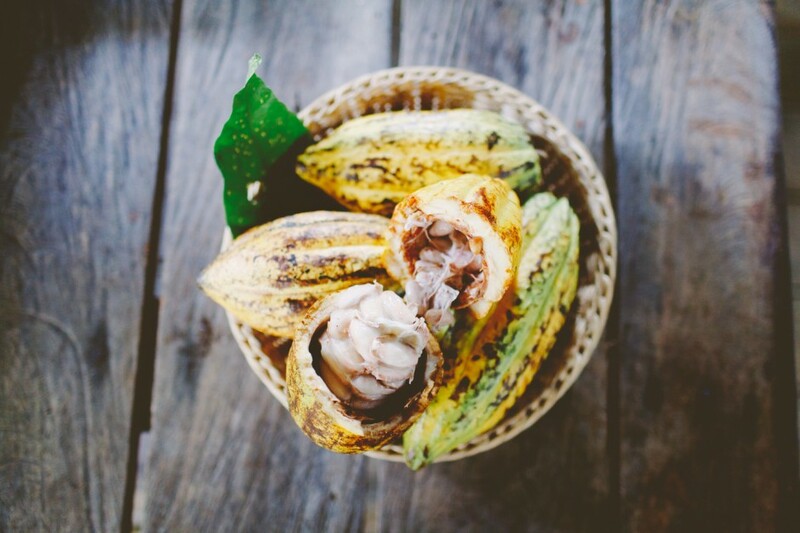 These are freshly picked cacao beans, the main ingredient in chocolate. 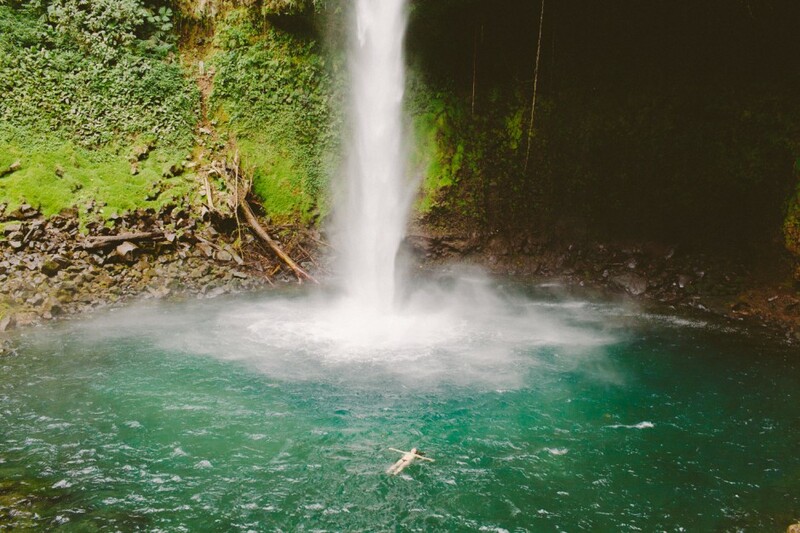 Taking it all in at La Fortuna Waterfall. I could have stayed for days. 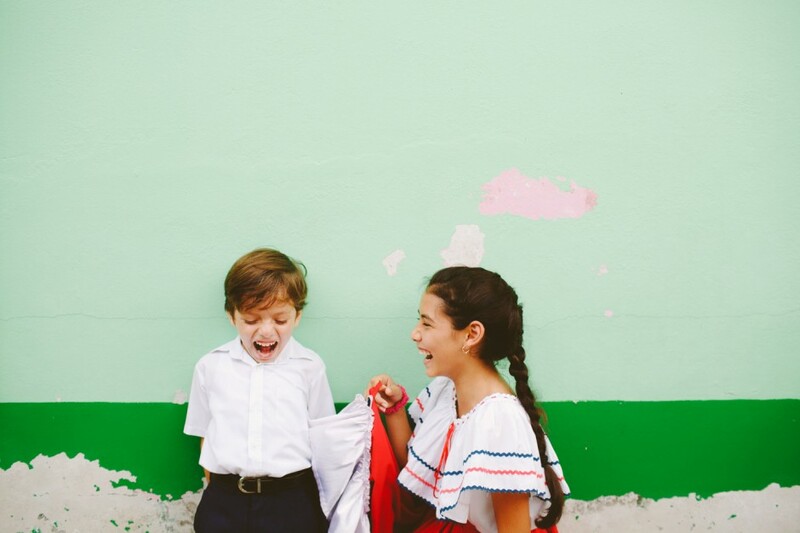 One of the cutest couples of the school in La Fortuna, sharing some laughs after their dance performance. 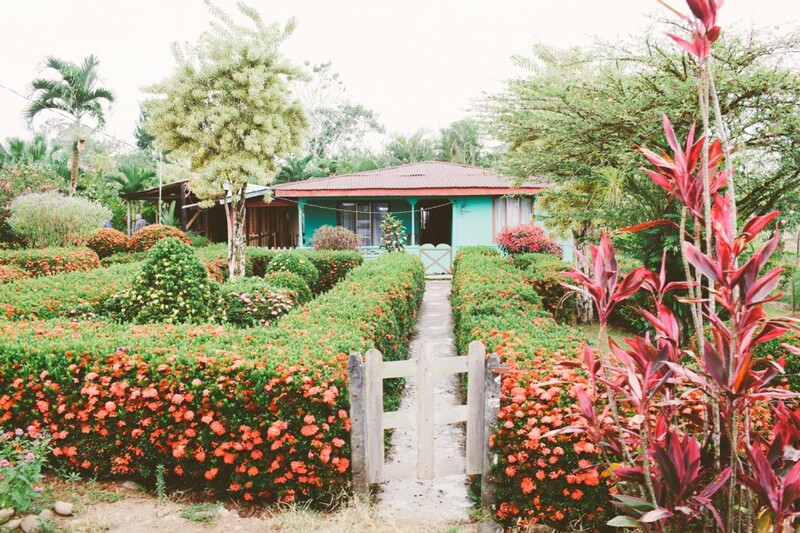 Visiting the backstreets of the quiet village of La Fortuna. 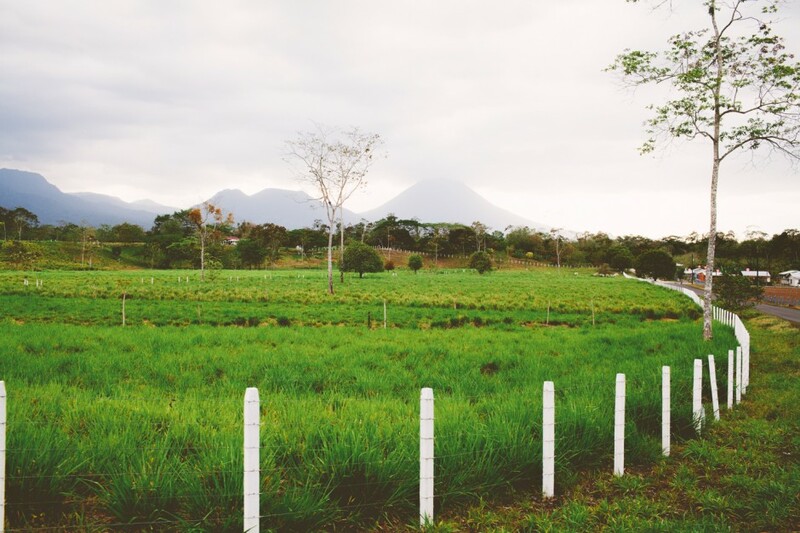 In the distance you can see the Arenal volcano. Visitors used to be able to hike to the top of it, but after many tragic accidents the summit has been closed. 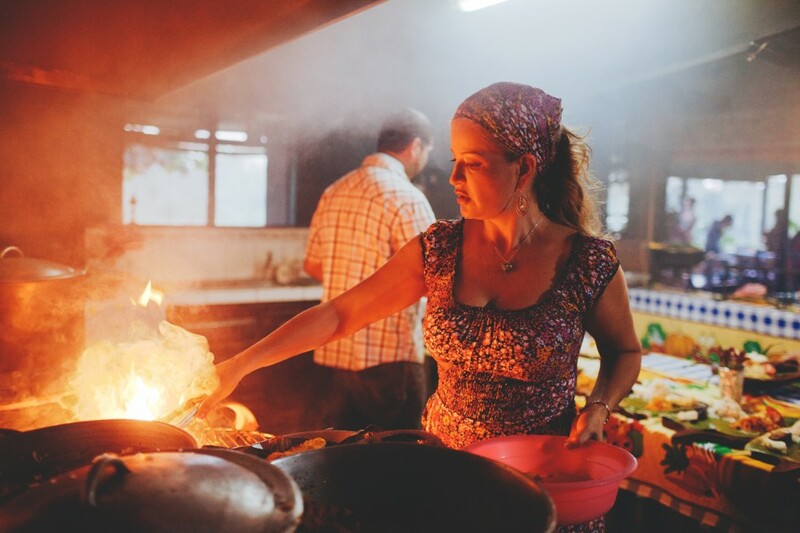 Cooking lessons, Costa Rican style. 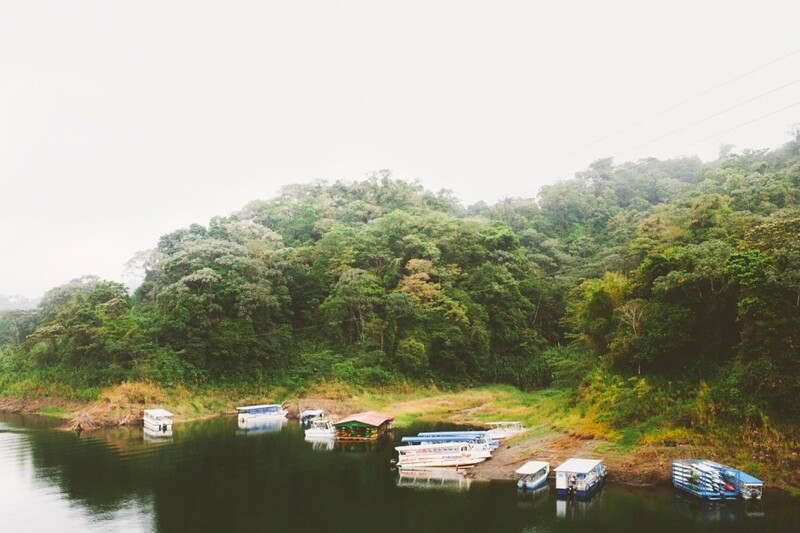 A misty morning boat ride across Lake Arenal. Driving the narrow roads of the highlands was such a great experience. Spending time in such remote locations just makes you want to move here and become a farmer. These wooden bridges where built for an American movie and left behind for visitors in the Monteverde Cloud Forest to see. 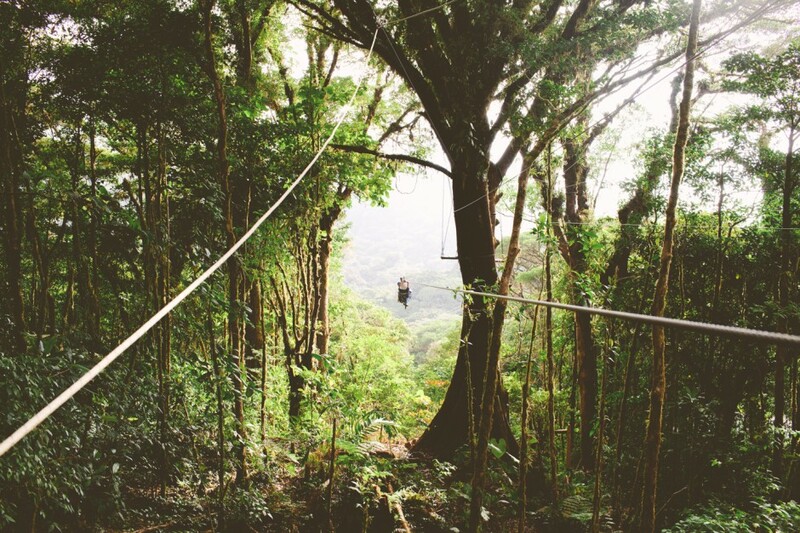 The finish line of one of the longest zip-lines of Central America. 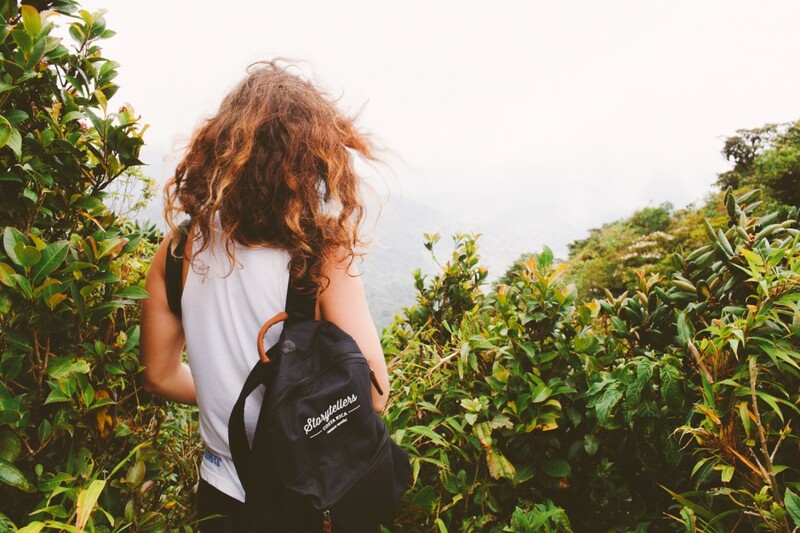 It's a little over 1.2 miles (2km) and offers some of the greatest views over the cloud forest. 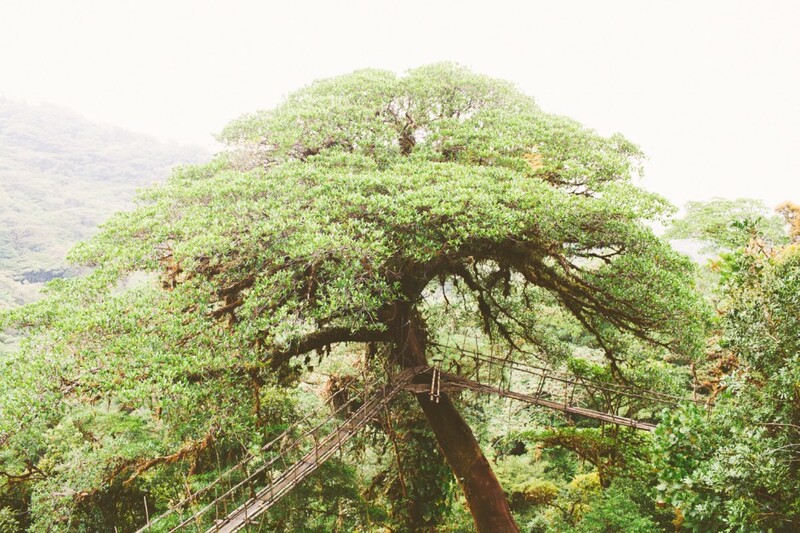 I fell in love with the hanging bridges of Costa Rica. Travel writer Sara Duff scouting for fog. 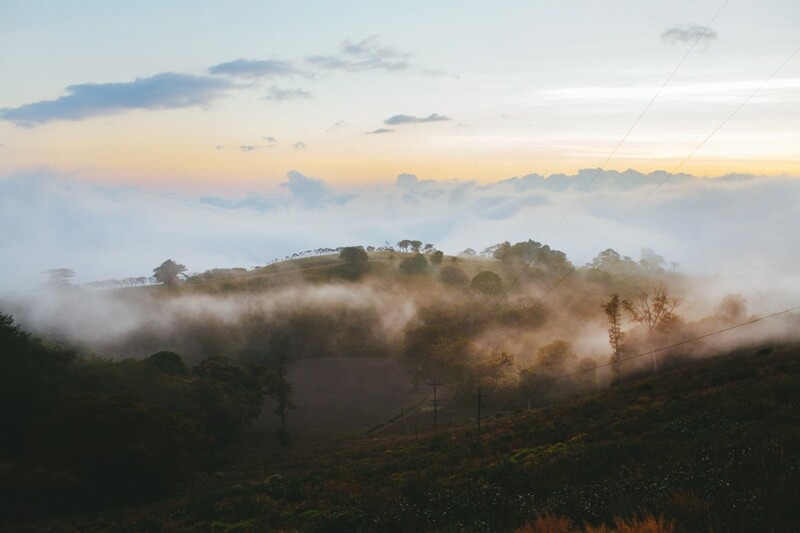 The Monteverde highlands seemed to be constantly bathed in the softest fog. I have never witnessed so many wildlife sightings in such a short period of time. 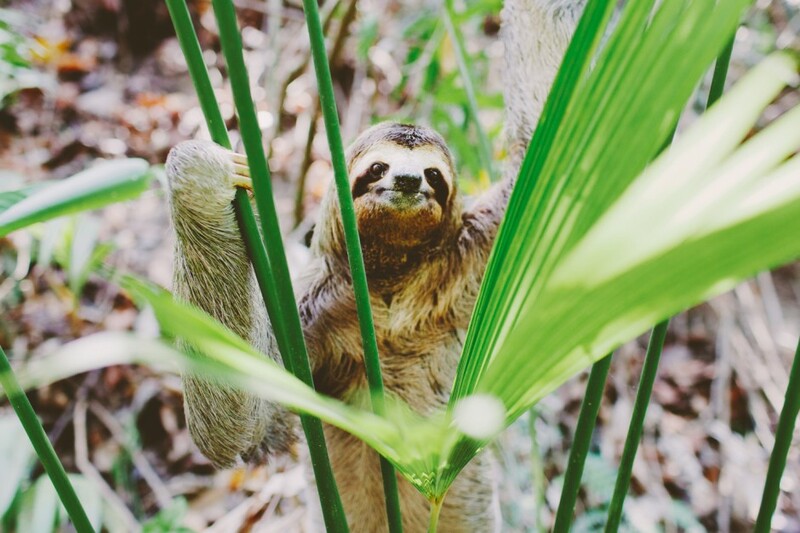 Thanks to the dedicated conservation programs Costa Rica is running, the fauna enjoy a nurturing natural habitat. 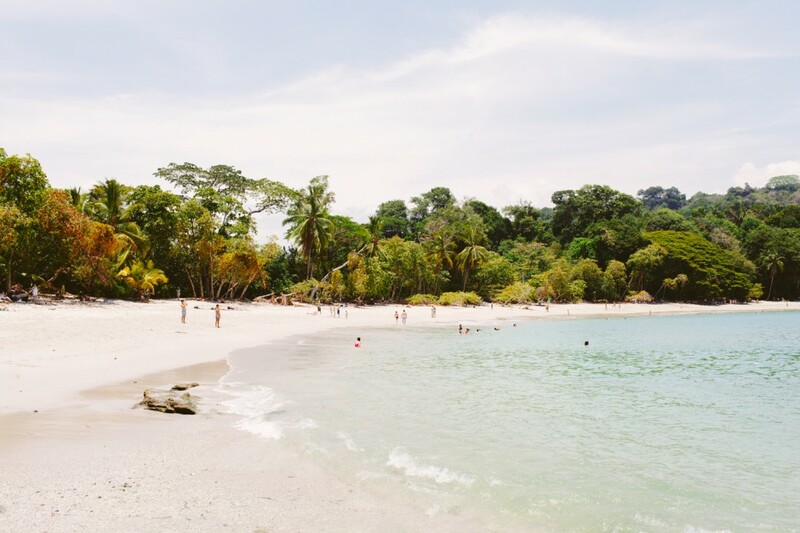 One of the many stunning beaches of Manuel Antonio National Park. Arriving at the Pacific meant two things for us: One, we could finally swim in the ocean. And two, sadly, our Contiki adventure was coming to an end. 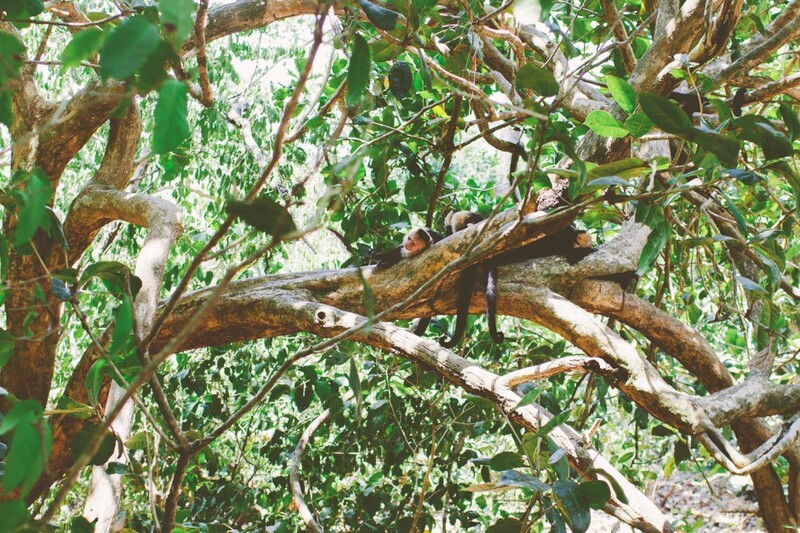 Another thing I will never forget about this trip was seeing monkeys in the wild. 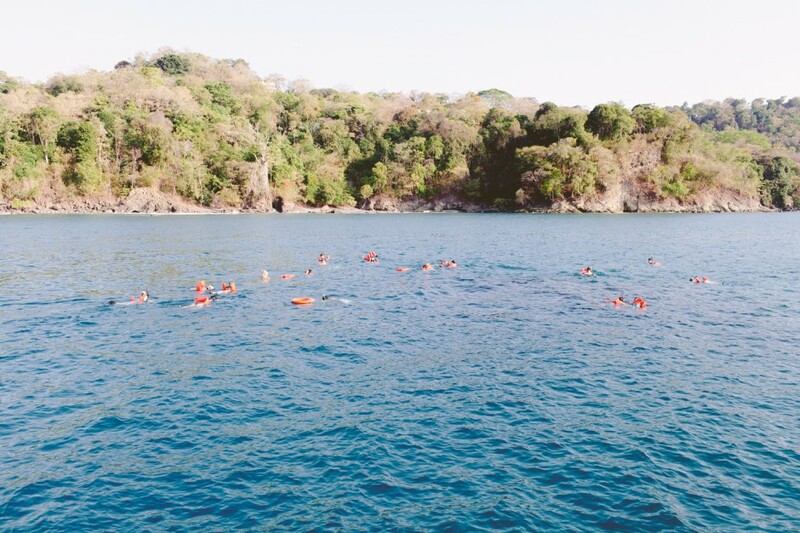 The #ContikiStoryTellers crew enjoying their last swim before getting back to reality...and definitely taking inspiration from the trip home with us.